Winona County, the only county in Minnesota to ban the mining of silica sand for use by the oil and gas industry in hydraulic fracturing, goes to court Thursday to defend the ban. The Winona County Board adopted the ban in 2016 after public hearings that drew large crowds. The Land Stewardship Project spearheaded a 17-month grassroots campaign, citing risks to public health, air and water; damage to the scenic landscape of southeastern Minnesota; the impact on roads from heavy truck traffic; and the loss of farmland. Minnesota Sands LLC sued, arguing it was an unconstitutional restraint on interstate commerce and it made worthless the company's mineral rights leases on nearly 2,000 acres of land in the county. The company says the silica sand there is worth between $3.6 billion and $5.8 billion. Winona County District Judge Mary Leahy rejected those arguments last November, so the company appealed. Southern Minnesota and western Wisconsin have rich deposits of a form of silica that's in high demand for hydraulic fracturing. The pure quartz sand from the region's soft sandstone is strong enough to prop open cracks without being crushed, and the round grains are ideal to let oil and gas flow through. Minnesota has a few active mines. There are more than 90 in Wisconsin, the country's top producer, where companies have taken advantage of that state's friendlier regulatory climate, as well as the close proximity of its sand deposits to railroad lines that can carry it economically to the shale oil fields in North Dakota, Texas, eastern states and Canada. Demand fell in 2015 and 2016 with the slump in oil prices. It has bounced back since last year as drilling rebounded, straining supplies and pushing up prices. Midwest producers are starting to face increasing competition from mines in Texas, where the sand isn't necessarily as good but it's cheaper. Minnesota Sands says the ban violates the Commerce Clause of the U.S. Constitution, which gives Congress the power to regulate interstate commerce. The clause historically has been viewed as a restriction against state laws that discriminate against or unduly burden interstate trade. 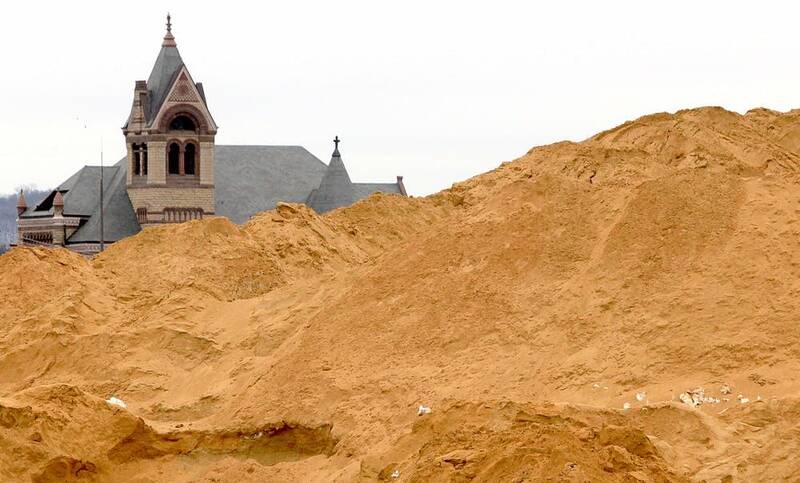 The company's lawyers note that Winona County's ordinance allows sand mining for local use in construction, landscaping and agriculture, but not for uses outside the local area. "The federal Constitution creates a nationwide free-trade zone: state and local governments may not ban exports of goods produced within their boundaries. Unfortunately, Winona County has done that. ... That cannot stand," they wrote in their brief. They also wrote that the ban has devalued the company's leases, amounting to a "taking" that entitles the company to compensation. Attorneys for Winona County say Leahy correctly concluded that Minnesota Sands failed to prove that the ordinance violates the Commerce Clause and that it doesn't constitute a taking. They wrote that the ordinance doesn't discriminate because it draws a valid distinction between smaller-scale sand mining for local purposes such as construction and large-scale industrial sand mining for hydraulic fracturing. The environmental, public health, economic and other impacts are different, they said. They also argue the ordinance isn't a taking because Minnesota Sands never had the right to mine; because they company hadn't gone through the permitting process, the ban didn't take away any property rights the company already held. They also said the company's mineral leases still have value because the sand can be mined for local use. The company disputes that, saying its leases allow mining only for hydraulic fracturing. 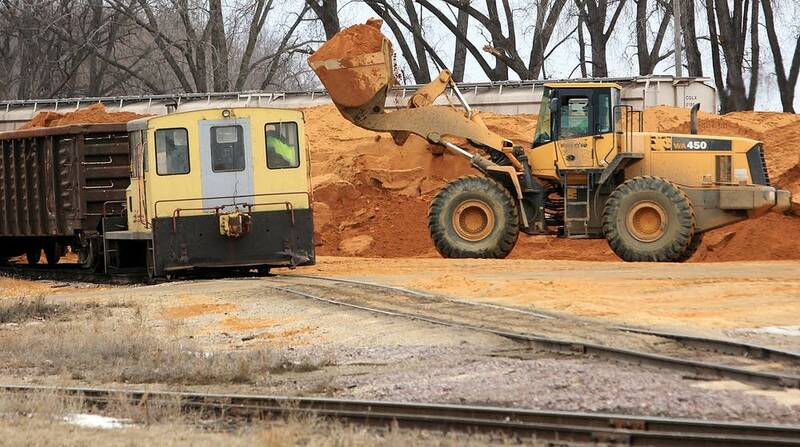 Correction (May 7, 2018): In a story May 6 about a Minnesota Court of Appeals hearing involving a Winona County sand mining ban, The Associated Press erroneously reported that the hearing would be held Monday. The hearing will be held Thursday.